Fernando Alonso de la Vega 14767 A4 Sha Sha http://www.whitearmor.net/eib/certificates/14767-eib.png Thank you! Thank you Sha Sha for reviewing my application and for your help! 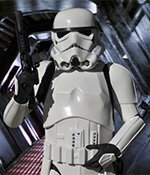 and thanks to the fellow troopers for your suggestions and support, that will be of great help to dress my armor better for the pride of the Empire! I finally solved the problem with metallic screws and fixed the gap between the clips and end caps.